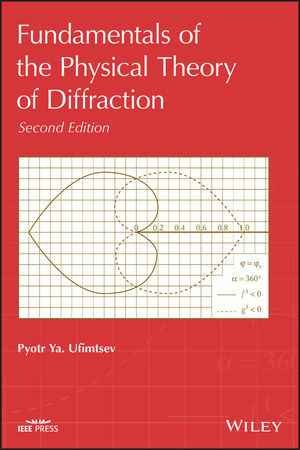 The book is a complete, comprehensive description of the modern Physical Theory of Diffraction (PTD) based upon the concept of elementary edge waves. The theory is demonstrated with examples of the diffraction of acoustic and electromagnetic waves at perfectly reflecting objects. Readers develop the skills to apply PTD to solve various scattering problems. The derived analytic expressions clearly illustrate the physical structure of the scattered field. They additionally describe all of the reflected and diffracted rays and beams, as well as the fields in the vicinity of caustics and foci. Shadow radiation, a fundamental component of PTD, is introduced and proven to contain half the total scattered power. The equivalence relationships between acoustic and electromagnetic diffracted waves are established and emphasized. Throughout the book, the author enables readers to master both the theory and its practical applications. Pyotr Ya. Ufimtsev has been recognized for his outstanding work in the theory of diffraction and propagation of electromagnetic and acoustic waves. Dr. Ufimtsev has been affiliated with the Central Research Radio Engineering Institute of the USSR Defense Ministry, Moscow; the Institute of Radio Engineering and Electronics of the USSR Academy of Sciences, Moscow; the Moscow Aviation Institute; and the University of California at Los Angeles and Irvine. Among Dr. Ufimtsev’s many honors and awards are the USSR State Prize and the Leroy Randle Grumman Medal.